We are delighted to share the video of the complete one hour solo performance of Bound Feet Blues – A Life Told in Shoes. It is now up online on YouTube. So if you didn’t manage to get tickets for the live show – or if you did see the show on stage and would like a reprise – here it is for everyone to enjoy. 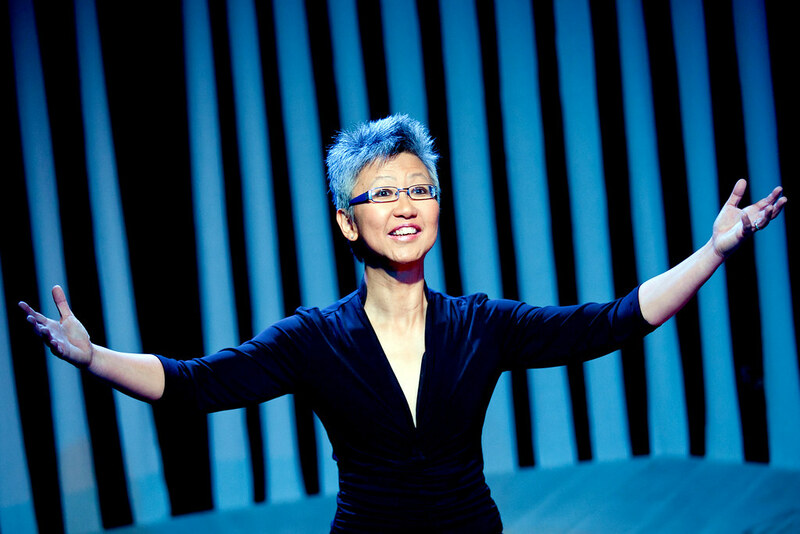 Watch the evolution of writer Yang-May Ooi as a performer in these three short videos which capture her performance of Bound Feet Blues in its three incarnations – from the very first scratch night performance in March 2014 to the full production in Nov/ Dec 2015. This is the first ever performance of Bound Feet Blues in public. 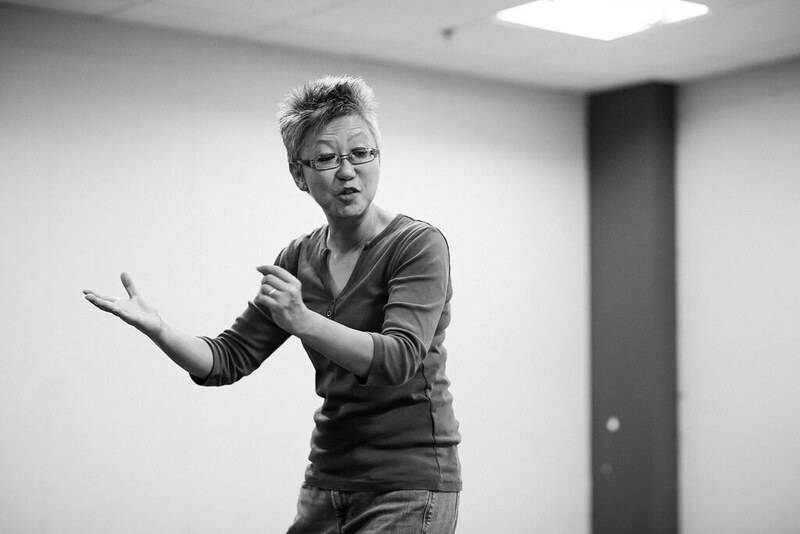 When Yang-May took to the floor, she was trying out an unfinished script without a director and just seeing where the experience would take her. In the audience was one of the producers of the South East Asian Arts Festival (SEA Arts Fest) who invited her to bring the completed piece to the Festival in Oct that year. Yang-May captures the drama and tension of that first performance in the book version of Bound Feet Blues, available from Amazon. The showcase performance was a one night performance at Tristan Bates Theatre, London that was sold out even before the show was widely publicised on the BBC and elsewhere. The showcase was directed by Jessica Higgs and produced by Eldarin Yeong with R&D funding from Arts Council, England. It was part of the SEA Arts Festival 2014. The performance was 4+ star reviewed and its success enabled Yang-May and her creative team to move forward with the three week full production the next year. The full production ran for three weeks at the Tristan Bates Theatre. Of the 15 performances, 12 were largely sold out with people queuing for returns. The creative team now included Hua Tan who designed the beautiful set and evocative lighting, costumier Carol Alayne and production manager Crin Claxton. The production was supported by funding from Arts Council, England, THFC (The Housing Finance Corporation) and Maclay Murray Spens. It was part of the SEA Arts Festival 2015. 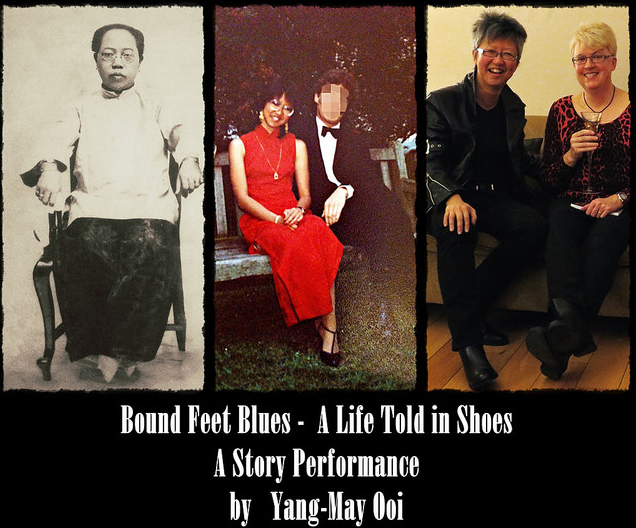 We are delighted to share with you highlights from the Nov/ Dec 2015 production of Bound Feet Blues – A Life Told in Shoes, the autobiographical solo theatre piece by writer/ performer Yang-May Ooi. You can watch the 2 min video below. The show was directed by Jessica Higgs and produced by Eldarin Yeong with set and lighting design by Hua Tan. We are delighted to share with you yet another batch of amazing audience responses to Yang-May Ooi’s theatre performance of Bound Feet Blues. Wow!!! Brilliant performance of Bound Feet Blues. Laughter and tears and wow. The blending of the personal and universal elements of women’s struggle was cleverly crafted. A tour de force performance which captured the audience’s attention throughout. I have been overwhelmed by all the warm and generous comments from audiences over the three week run. In particular, I am super chuffed by enthusiastic feedback from actors and theatre makers as well as those in the media and the diverse range of people who came to see the show. Thank you! If you missed the show, you can still discover the story for yourself in the book. The book stands alone as a distinct work from the show. It’s the last night of Bound Feet Blues – but the stories will live on in the BOOK! 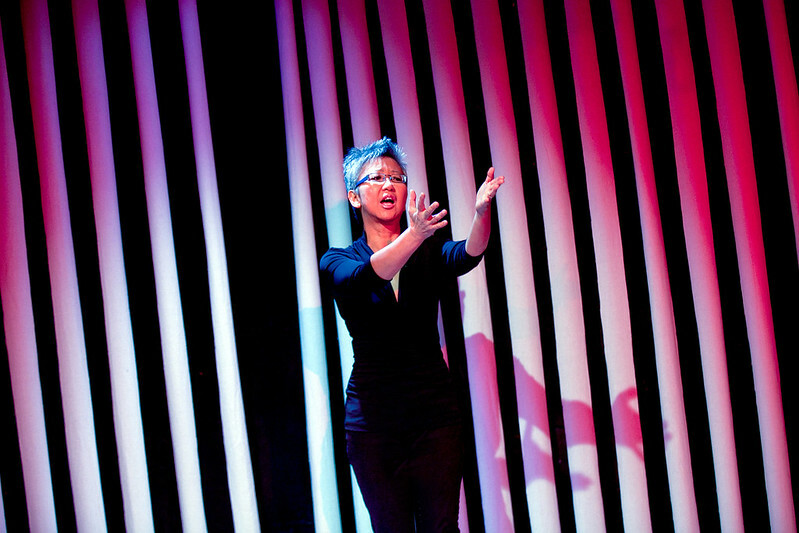 Tonight is the last night of writer/ performer Yang-May Ooi’s solo performance of the stage work Bound Feet Blues! 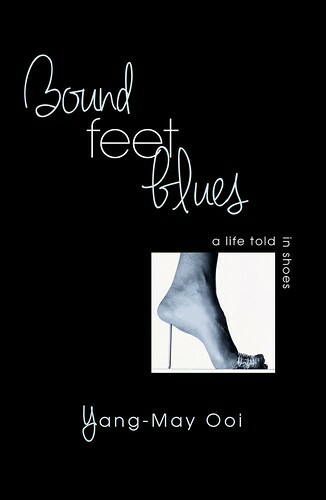 But the story does not end here – the book Bound Feet Blues (now available, published by Urbane Publications) will continue the legacy of this astonishing creative work. The BOOK contains the full script of the show PLUS the stories that Yang-May could not fit in to the hour long show. The two final performances of Bound Feet Blues EVER are tonight Fri 11 December and tomorrow Sat 12 December. 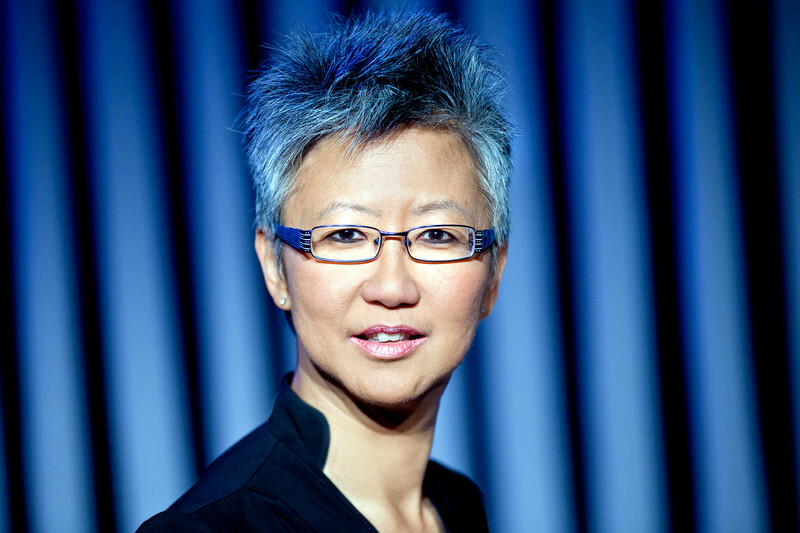 Writer/ performer Yang-May Ooi looks back on her amazing debut on the London stage over the last three weeks as she considers these last two nights when she will be performing Bound Feet Blues for the last time. Performing Bound Feet Blues has been challenging, terrifying and exhilirating all at the same time. As a first time performer with no formal drama training, taking to the stage five nights a week for three weeks has been a huge test of my stamina and everything I’ve worked for with director Jessica HIggs in terms of my dramatic abilities. To have pulled it off with 5 star feedback from audiences and terrific reviews in the press has been amazing for me! In every performance, when we get to the footbinding scene, it is electrifying in the theatre. From the stage, I can sense the utter stillness in the audience as if they are all holding their breath, totally riveted to every word and gesture. There are occasional gasps and winces as the process of the footbinding becomes more and more intense. I’ve also appreciated the warmth of the audiences as they laugh during the lighter scenes of me as a child and with my family. Their generosity and engagement spur me on each night to give my best performance for them. As a performer, each night has been special with each different audience and I will always cherish this unique experience of performing in my own show in the heart of London’s West End. As a writer, it has been immensely rewarding to see audiences respond to my words and the drama that I have created for the stage. I am looking forward to these last two performances which will have a very special meaning for me as the show comes to an end. I will savour each moment even more! Tue 24 Nov – Sat 12 Dec, Tue – Sat at 7.30pm. Tickets £16 / £12 concessions. Q&As post-show, 27 Nov & 4 Dec. Bound Feet Blues explores the psychological impact of the ancient Chinese practice of footbinding – and uses it as a metaphor to explore our psyche as modern women in search of feminine desirability and empowerment. Writer/ performer Yang-May Ooi demonstrates the brutal process of footbinding on stage in a horrifying sequence that has the whole audience holding their breath in utter silence – using no more than her hands and the audience’s imagination. This week is your last chance to catch this mesmerising solo show so don’t miss out …. As we enter the last week of Bound Feet Blues, this is your last chance EVER to catch the show. Writer/ performer Yang-May Ooi has no plans to take the show on tour or revive it in the future as she will be moving on to other creative projects once the show ends. There’ve been several SOLD OUT nights and people have been queuing for returns for previous shows. The last night 12 December is almost sold out. If you haven’t already seen this astonishing show, make sure you get your tickets NOW to the last few performances this week – extra availability on Thurs 10th and Fri 11 December.